As fans anxiously cross their fingers, in hopes that the band finally makes good on their promise to return to Singapore, it looks like they'll be bringing some special friends to make up for lost time. 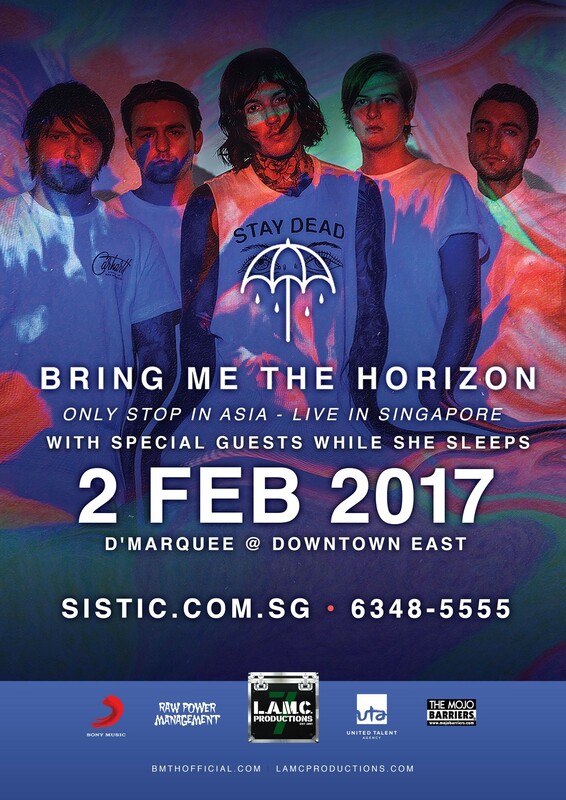 Bring Me The Horizon will be joined by While She Sleeps on their date in Singapore at the D'Marquee, Downtown East on February 2nd. The latter band — also from the UK — have made waves in metalcore themselves, and have since become one of the most reputed and buzzed about bands in the genre. Tickets at SG$108 are still available through SISTIC. The show is organized by LAMC Productions. While She Sleeps last visited Singapore in 2015 — check out what happened at their first gig here in our photo gallery.